The countdown has begun to the August 1, 2018 deadline for submission of songs and videos to be nominated for the 5th annual All Africa Music Awards (AFRIMA), the biggest music event in Africa that celebrates and rewards the music talents of the continent while showcasing the African cultural heritage to a global audience for a positive narrative. Organised by the African Union Commission in partnership with the International Committee of AFRIMA, announced its call for entries for the 2018 edition of the awards on May 25 and thereby opened its online portal- www.afrima.org to receive songs and videos recorded or produced by African music professionals either living on the continent or in the diaspora within the eligibility period of August 1, 2017 to August 1, 2018.Established and emerging African music stars have been sending in their songs and videos to compete in the 36 regional and continental award categories to participate in the process, with the expectation of emerging nominees that will feature at the culturally resplendent 5th AFRIMA main awards ceremony scheduled for November 2018. The high level of participation in the submission by Africa’s music industry is an indication that the 2018 nomination entries are set to surpass those received in previous years. Furthermore, AFRIMA recently saw the introduction of four new award categories to enable more creative professionals in the music and entertainment industry participate in the process, giving room for expansion and inclusiveness. The newly introduced categories are Best African DJ; Best African Dance/Choreography; Best African Lyricist/Rapper of the Year and Best African Act in Diaspora. Speaking on the countdown, AFRIMA Country Director, South Africa, Mr. Lekunutu Sekobo, advised African artistes yet to enter their works to take advantage of the few days remaining. “I would like to urge all musicians, record labels, music producers, music managers and the recording industry of Africa at large to take full advantage of the few days remaining before submissions closes on the 1st of August. I encourage you to submit your crafts or submit on behalf of your clients in any of the suitable award categories. Africans should embrace this initiative by AFRIMA and show full cooperation and support. AFRIMA is the biggest platform where Africans are showing immense enthusiasm through music and art”. He further added: “I would also like to call on the Department of Arts and Culture under Minister Nathi Mthethwa and the Department of Tourism under Minister Derek Hanekom not excluding corporate South Africans to embrace and give full support to AFRIMA’s vision for Africa’s Cultures Renaissance so we can overcome the challenges confronting our continent as former President Thabo Mbeki championed in his term of office”. Once the AFRIMA submission portal closes on August 1, the screening and adjudication process commences on August 7 by the 13-man AFRIMA International Jury who are experienced and expert African music professionals charged with the responsibility of painstakingly and carefully screening, categorising and assessing the works submitted and determining those entries possessing the merit to be named on the highly contested AFRIMA Nominees List. 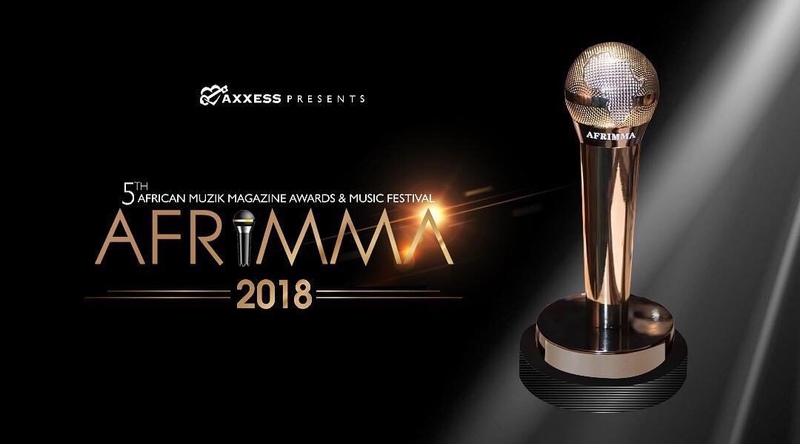 Immediately after the week-long adjudication process, the 2018 AFRIMA Nominees List will be unveiled and nominated artistes, songs and videos will then have to slug it out with other regional and continental music contemporaries and legends to emerge winners of the AFRIMA 23.9 carat gold plated trophy. Meanwhile, the Director, Brand Communication, AFRIMA, Ms. Matlou Tsotetsi has challenged African governments and corporate bodies to throw their weight behind the advocacy initiative of AFRIMA. “AFRIMA Main Awards has been held for four years spearheaded by a coalition of music, production, culture and media professionals. We’ve had amazing support across the continent, especially from the government of Nigeria which hosted in 2014, 2015, 2016 and 2017. We are immensely appreciative of the government of Lagos State in Nigeria and some corporate organisations from Nigeria and other countries. In our fifth edition, this is the perfect opportunity for other African governments to also align themselves with this Pan African project, because it really does say that they are part of the Pan African community. I am calling on the government of South Africa, my home country, to throw her weight behind AFRIMA. South Africa will be sending a very positive message to the rest of the world, and also eradicate the perception that South Africans are not warm enough or welcoming enough to other Africans across the continent”, she concluded. In its efforts to reward music creativity and talent in Africa, AFRIMA also stimulates conversations among Africans and between Africa and the rest of the globe about the great potentials and values of the African musical and artistic heritage for the purpose of creating jobs, reducing poverty, calling the attention of world leaders to Africa and promoting the positive image of Africa to the world for global competitiveness. AFRIMA is scheduled to hold in November, with live broadcast to over 80 countries around the world.